Jason Marks, Chief Deputy County Attorney for Missoula County, says that history holds little bearing on the current case against Johnathan Bertsch. "The prosecution's going to be driven by the facts of this case and the extremely serious nature of his actions last night." Bertsch was charged with one count of deliberate homicide and three counts of attempted deliberate homicide today for his role in the shooting death of Shelley Hayes, and the shooting injuries of Julie and Casey Blanchard and Montana Highway Patrol Trooper Wade Palmer. If Bertsch is found guilty, each of the four charges against him could carry a possible sentence of 10 to 100 years. In 2009, Bertsch allegedly rammed his car into a police officer’s car after stealing gas and leading officers on a car chase. A GoFundMe account created this afternoon for Trooper Palmer has raised nearly $19,000 of a $50,000 goal within its first three hours, with more than 200 people donating. Another to cover funeral costs for Shelley Hayes is halfway toward its $10,000 goal this hour. 2:30 p.m. update: Trooper Palmer has been airlifted to Salt Lake City. Traffic along Highway 93 is open with no delays or restrictions. 10:55 a.m. update: The Montana Department of Transportation reports traffic is once again moving on Highway 93 north of Missoula. Single lanes in both north and south directions are open. Expect reduced speeds and delays. 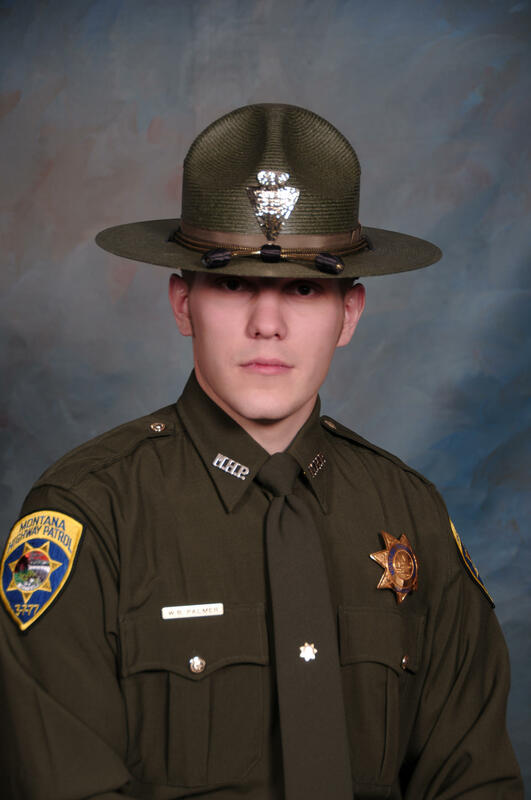 A Medal of Valor award-winning Montana Highway Patrol Trooper is in critical condition after sustaining gunshot wounds last night in the Missoula area. Trooper Wade Palmer was one of four people shot in what authorities are describing as related shootings Thursday night. Highway 93 north of I-90 remains closed at this hour due to the ongoing investigation. The Missoula County Sheriff's Office says the suspect, 29-year-old Johnathan Bertsch, was arrested early this morning near Evaro. The Associated Press reports the first shooting occured between the occupants of two vehicles near Missoula International Airport just before 11 last night. Two men and a woman were taken to a Missoula hospital. Sheriff's spokeswoman Brenda Bassett could not comment on their injuries until their families were notfied. A news release from the Montana Department of Justice says Trooper Palmer is listed in critical condition at St. Patrick Hospital. "Early in the morning of March 15, near the Evaro Bar and Casino, Montana Highway Patrol Trooper Wade Palmer located a suspected vehicle matching the description of one involved in a Missoula shooting before midnight. Trooper Alex Hiday was the next officer to arrive on scene. Hiday found Palmer still seat-belted in his patrol car and that he had been shot. The suspect had fled the scene. Hiday and a Missoula Police Department officer transported Palmer to an ambulance at the intersection of Highway 93 and Interstate 90. Palmer is in critical condition at St. Patrick Hospital. After an extensive manhunt, at approximately 6:15am the Missoula County Sheriff’s Office took the suspect, Jonathan Bertsch, into custody without incident. The Department of Justice’s Division of Criminal Investigation and the Missoula County Sheriff’s Office are investigating the shooting incident. Palmer has been with the Patrol since 2012. He is stationed in Detachment 112 in Missoula. In 2015, he was awarded the Patrol’s highest honor, the Medal of Valor, for his heroic lifesaving efforts at the scene of a multiple-vehicle crash involving a mother and her young children in December 2014. Trooper Palmer has a wife and two young children."